This post is sponsored by Tyson Foods, Inc. and Mars Food, Inc. All comments and opinions are my own. 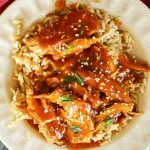 Instant Pot Honey Sesame Chicken is a simple & easy dinner recipe served over whole grain brown rice. A delicious family meal in just 30 minutes. Is dinner time busy for you? I have a solution that will have dinner on the table in about 30 minutes. 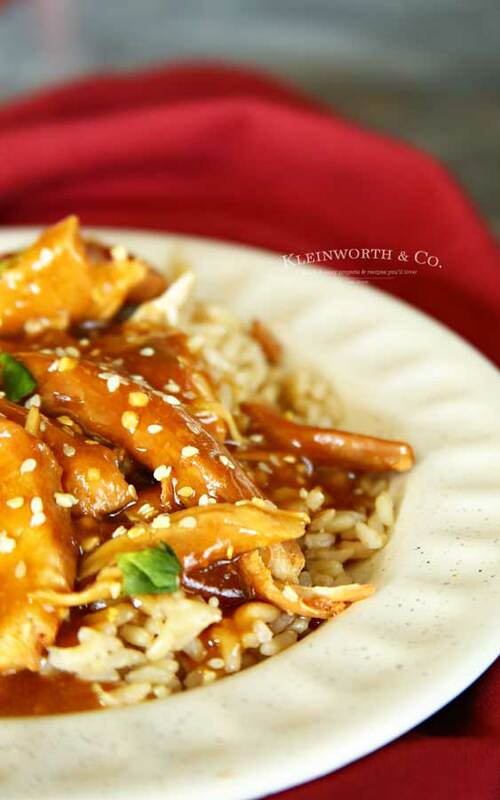 This Instant Pot Honey Sesame Chicken is so quick & the whole family loves it. This time of year gets so hectic. With the kids and all of their activities and then the holidays too, just getting dinner on the table can seem daunting. Which is why I love this recipe. 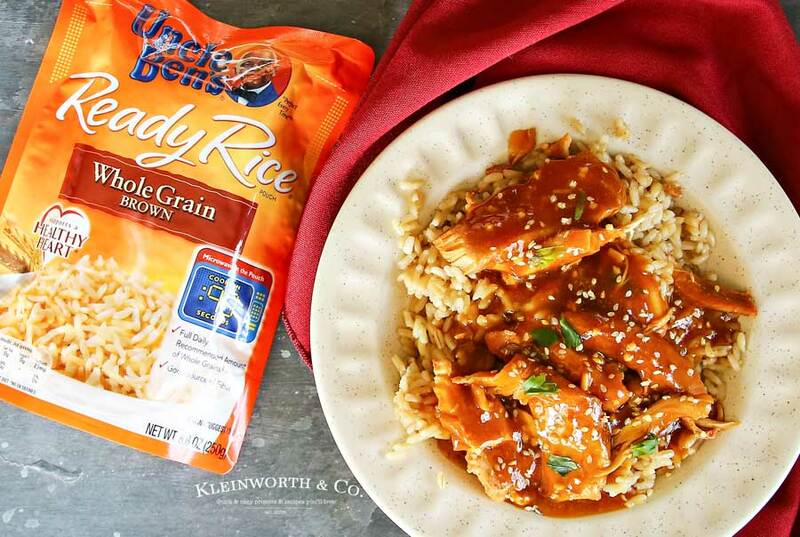 Not only is it super easy to make, but I can pick up all the ingredients like Tyson® Fresh Chicken & Uncle Ben’s® Ready Rice® Whole Grain Brown during my weekly trip to Target. That sure makes it almost effortless to put together a wholesome meal that the family enjoys. I want to make meals that are better for us, easy and affordable, but not at the expense of taste. With this recipe it is as easy as tossing all the chicken ingredients in the Instant Pot & setting the cook time. Then just microwave the Uncle Ben’s Ready Rice Whole Grain Brown in the pouch for 90 seconds. The microwaveable pouch eliminates prep and cleanup. WHAT MAKES READY RICE DIFFERENT? Uncle Ben’s Ready Rice Whole Grain Brown comes in a microwaveable pouch that eliminates the need for pots & boiling water. Just microwave & serve. It comes in a wide variety of flavors, so you are sure to find the perfect one to serve with your favorite recipe. I used whole grain brown here. 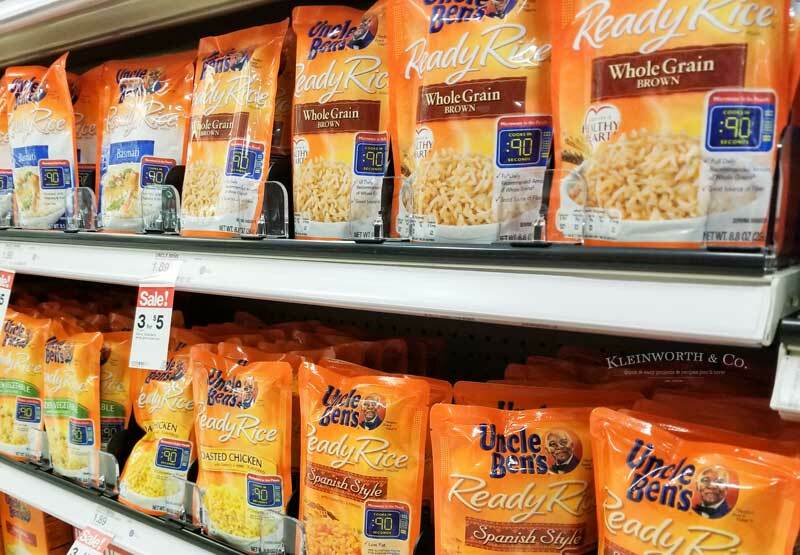 Where can I find Uncle Ben’s Ready Rice Whole Grain Brown? As I mentioned, I pick up mine at Target. It is usually found with the other boxed meals & side dishes. Why choose Tyson Fresh Chicken? Not only is it convenient for me to pick it up while I’m at Target doing my shopping, but I buy it for the quality too. It is important to me that it is 100% all natural with no antibiotics or preservatives. Where can I find Tyson Fresh Chicken in my Target store? Check your refrigerated section with all the other fresh refrigerated foods. 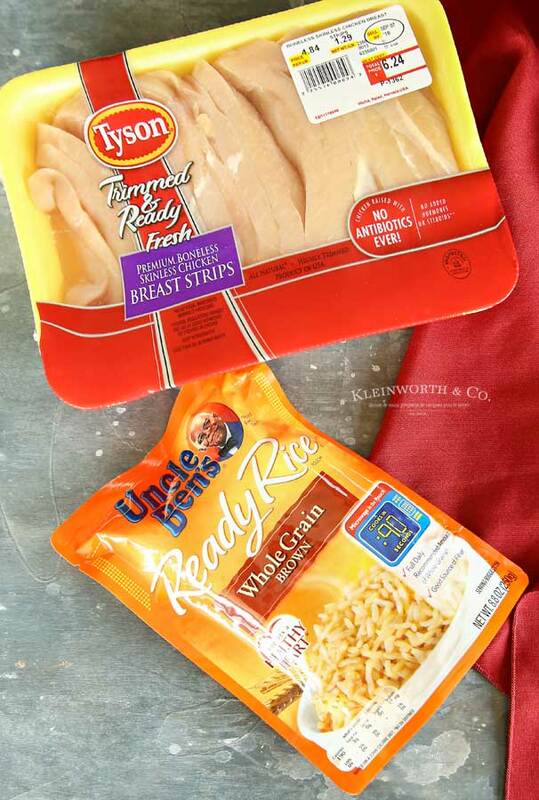 Selection varies by store, but there is plenty of Tyson Fresh Chicken to choose from. 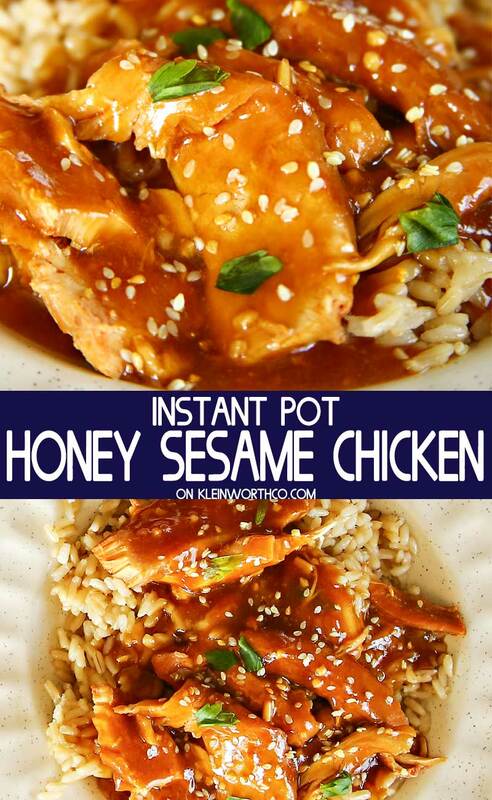 HOW DO YOU MAKE INSTANT POT HONEY SESAME CHICKEN? 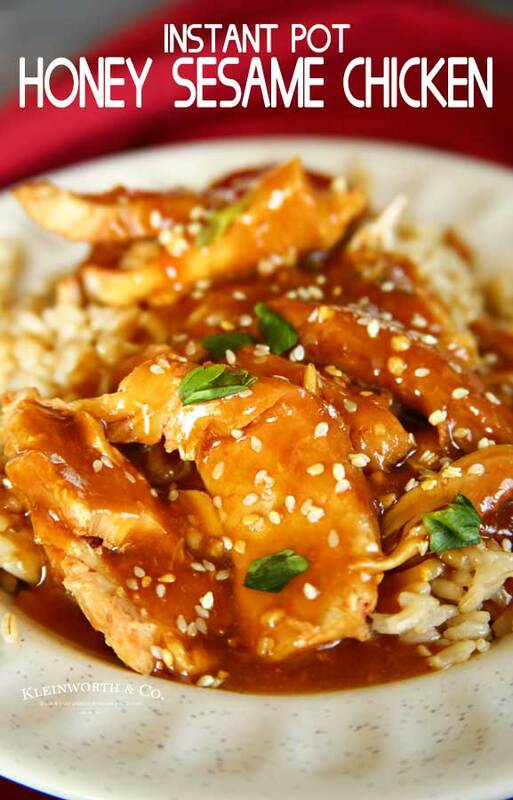 In a small bowl, whisk together the honey, soy sauce, ketchup, garlic, and sesame oil. 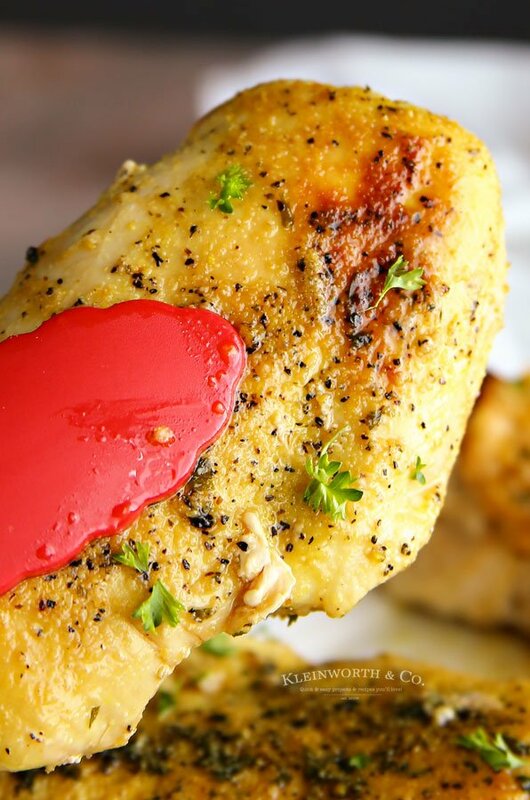 Place the Tyson Fresh Chicken in the Instant Pot. Pour the glaze mixture over the chicken and toss to coat. Allow natural release for ten minutes, then manually release the pressure. Add cornstarch to the pot & whisk. Turn on the sauté function & cook 2-3 minutes, whisking until thickened. Microwave the Uncle Ben’s Ready Rice Whole Grain Brown for 90 seconds. 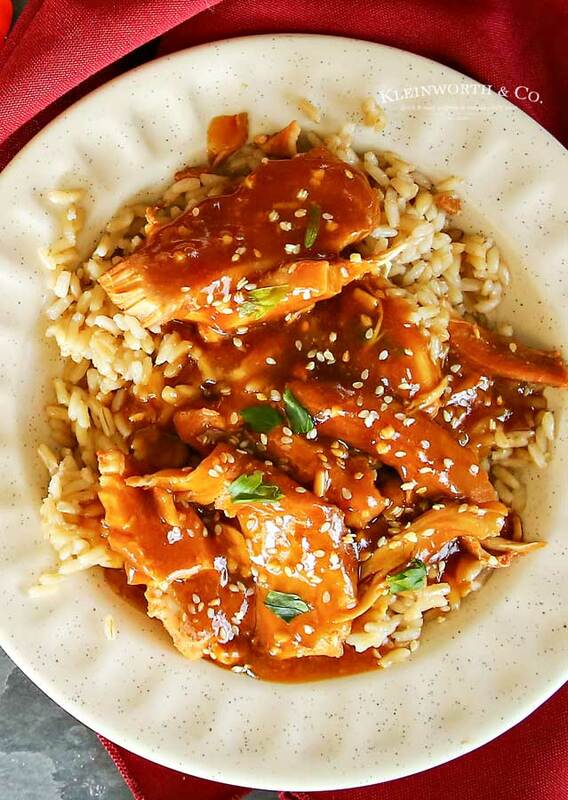 Place chicken on top of rice, spoon sauce over chicken & sprinkle with sesame seeds. When life gets as busy as it does this time of year you definitely need quick and easy dinners like this one. 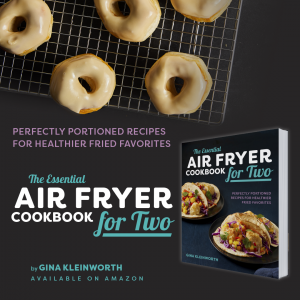 You’ll make this recipe again & again! In a small bowl, whisk together the honey, soy sauce, ketchup, garlic, sesame oil & water. Place the fresh chicken breasts in the Instant Pot. Microwave rice for 90 seconds according to package directions.